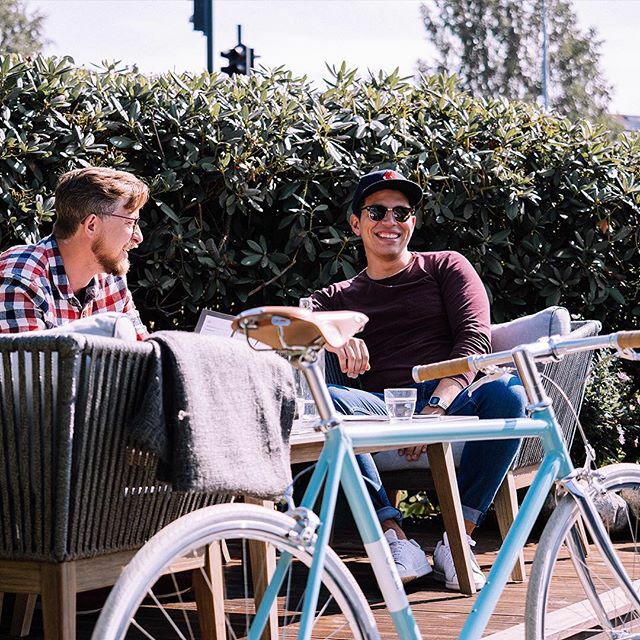 Speed ONE is a heritage bicycle that brings back the 91 year old brand Speed from Skiens Cykkelfabrik. This classic single-speed bike is the first to be released after the re-launch of the brand. The launch has a limited run series of only 91 bikes for the 91 years when it all began. Speed ONE combines classic design with modern construction, hand built and test for high performance. 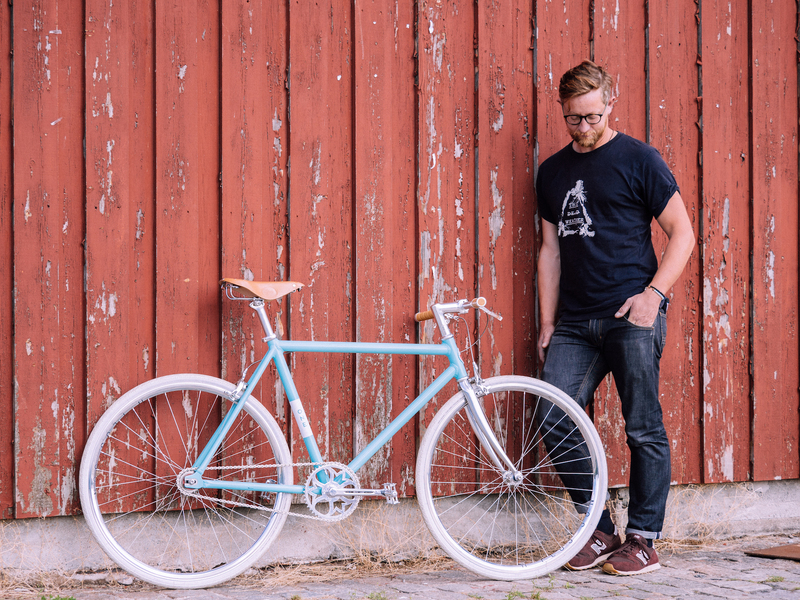 Speed ONE is a heritage bike that brings back the brand Speed from Skiens Cykkelfabrik. 91 years after it all began. It is launched in a limited run series of only 91 bikes. The name Speed ONE refers to being the first bike released after re-launch and it is also a single speed bicycle. Speed ONE combines classic design with high performance modern parts and construction. The geometry is heavily inspired by the original Speed tourist model from 1926. Giving you the classic riding feel in a modern construction. It is hand built in the same factory in Skien, Norway, as in 1926. The frame is made of high grade aerospace aluminium. The bike features our signature crank design in cold forged in aluminium. Resulting in timeless style and "no compromise" quality. The complete bike weighs in at just 9kgs. Speed ONE is designed and tested for high performance. Our vision is to ride the bike comfortably, enjoying the ride at just the right speed. It is about the ride and not the destination and when you arrive you should park the bike so you can enjoy the beautiful design. We are proud of our Speed badge. It has a long history and is made of beautiful hand painted cast aluminum. The design is the same as it was on the bikes back in the 1920s and still looks great. Our Speed ONE bike is inspired by our original bikes made in the beginning of last century and features a very similar geometry. We have made a modern interpretation of this with the materials and processes available today. Modern aluminium alloy construction with our hand welded aluminium frame makes for a lightweight ride to enjoy. Weight is one of the most important features of any bicycle. Speed ONE is made of modern alloys of aluminium and some parts of titanium. This ensures a strong and light construction, while still keeping the classic look. The launch edition of Speed one features a copper patina color. From the design studio on the 4th floor of the Skiens Cykkelfabrik building we can only see one building from our windows: the roof of the majestic two speared church in Skien. The color of our launch edition bicycle features this beautiful light green color. And of course: it just fits the bike damn good. Speed bikes have always featured a nice leather city saddle. The Speed One will be no exception. We have been working with our partner Tabor in Portugal which has been hand-manufacturing leather bicycle saddles since 1965. It has the unique combination of extreme comfort and distinguished looks that really fits the Speed brand. 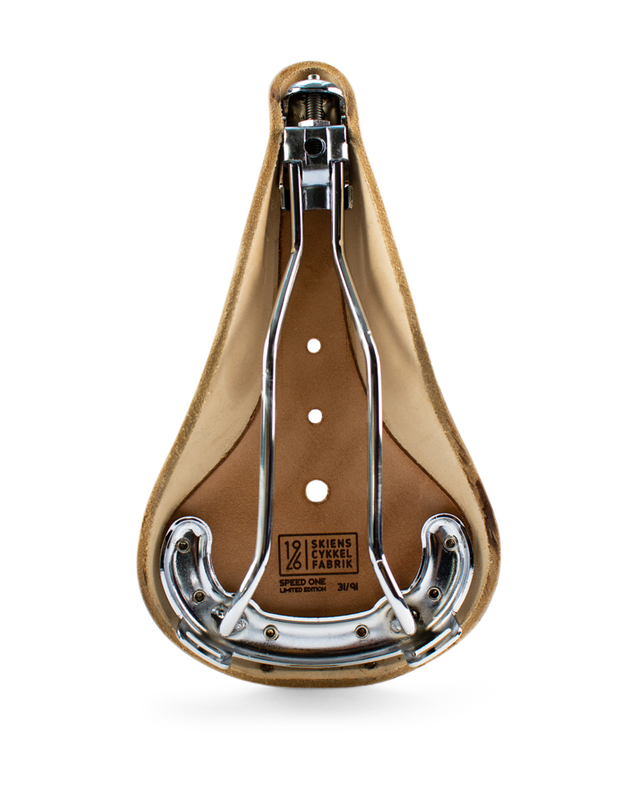 The saddles are made from environmentally friendly vegetable leather in natural color with a city style. 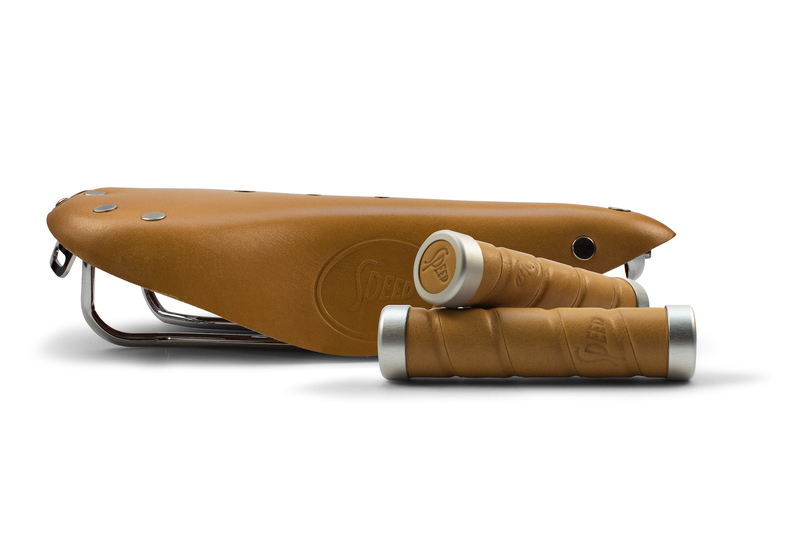 They also come with matching handlebars cushioned by natural cork. The Speed One launch edition even features matching numbers on the saddles and the frame. Each Speed ONE bike features a unique serial number. 91 is the number of years since Skiens Cykkelfabrik was founded. The launch edition is therefore produced in only 91 uniquely numbered copies. Our saddles are laser engraved with the serial number. A hand made aluminium badge is mounted on the frame with matching serial numbers. Details matter. The chainring and crank has always been a signature piece of the Speed bikes. We are proud to be working together with the French crank manufacturer Spécialités T.A. to create a beautiful reincarnation of our chainring and crank. It is made from cold forged aluminium which is CNC machined before finally hand polished. The same manufacturing process as used by T.A. the last 60 years. T.A. has been in business since 1947 and the French company has a long history of being a provider for Tour de France. 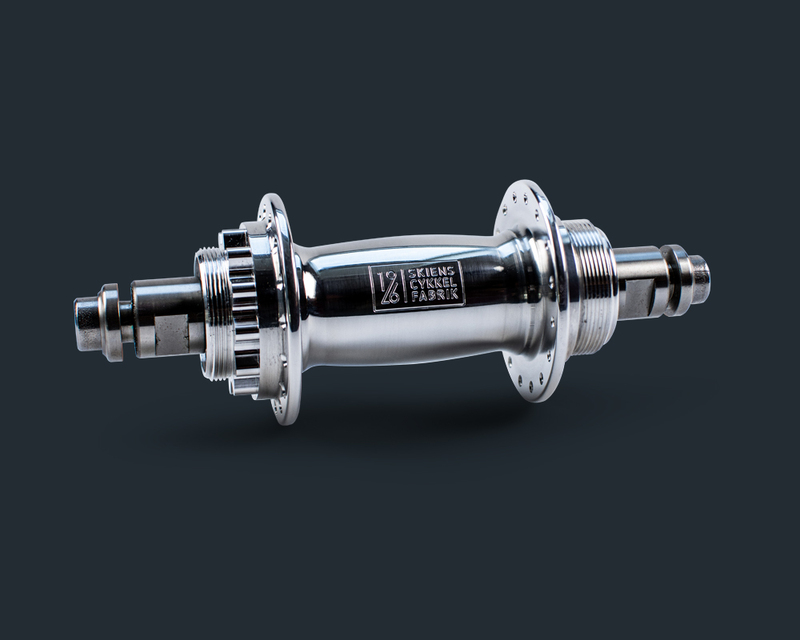 Beautiful polished hubs in 6061 aluminum made in cooperation with White Industries. Great performance and durability in these custom made hubs for Skiens Cykkelfabrik. Moving parts are where you want to put your money on a bike. We have been looking for the highest quality components we could source to build our beautiful high performing wheel. The hubs are White Industries ENO, spokes are from Sapim and the rims are the strong and light H Plus Sons Archetype. The wheels are then hand built and tuned for the Speed ONE, in Skien Norway. 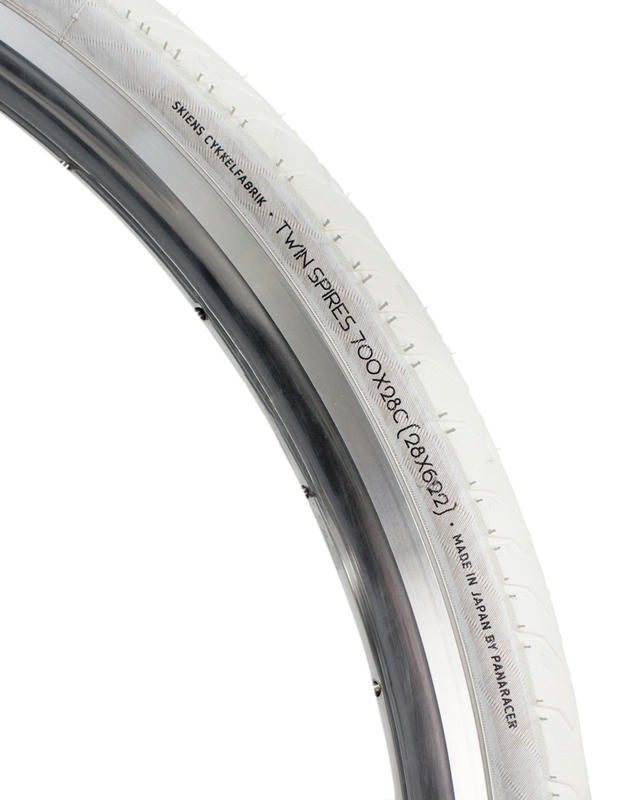 The Twin Spires 700c White Tire is a light weight, protected, fast urban folding tire. It weighs only 320g and has 60tpi, threads per inch. This tire uses ProTite material breaker for high puncture resistance. Dimensions are: 700x28 (28x622), one tire per pack. This tire is custom made by Panaracer for Skiens Cykkelfabrik. We have always had a soft spot for Campagnolo. The Italian manufacturer of bike parts. Speed ONE features Campagnolo brakes to complete our bike. It has that unique combination of stopping power and great looks. Made in Italy. Where do you see a bicycle description where they speak about the freewheel? Here. We have teamed up with White Industries which simply make the best freewheels in the world. 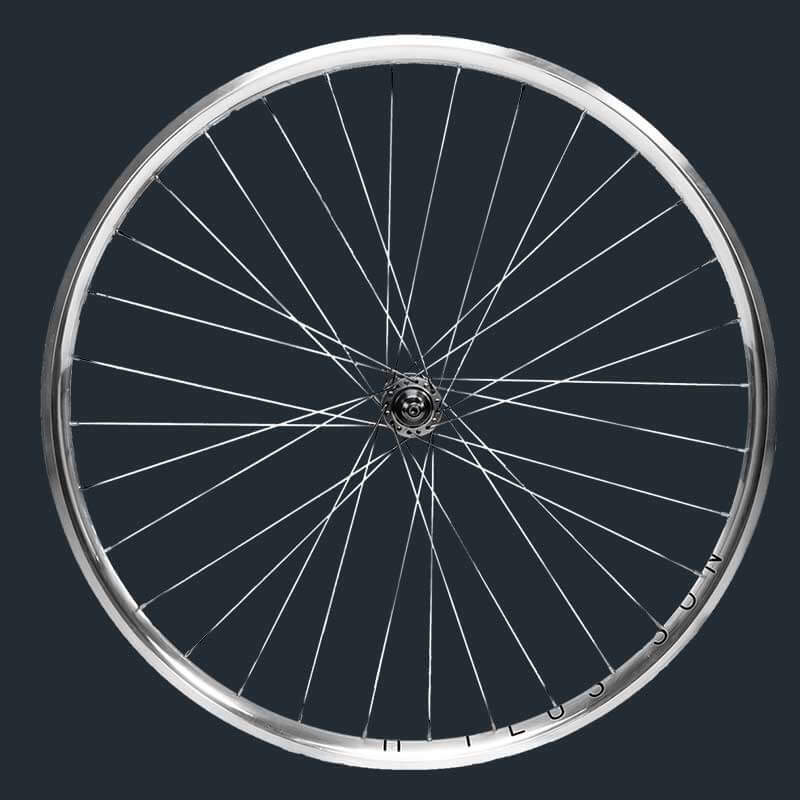 The White Industries ENO freewheel ensures high performance and low maintenance. Hand built in USA. The MKS Sylvan Touring Next completes the look and feel of the bike. It is a high quality pedal made in Japan. Light, great looks and super performance with high quality bearings. You can even service the pedals and replace the step plates if damaged. With our no plastic approach we try as much as possible to make the bicycle without any plastic components. To the extent that even our brake cables are plastic free. They even look better too.